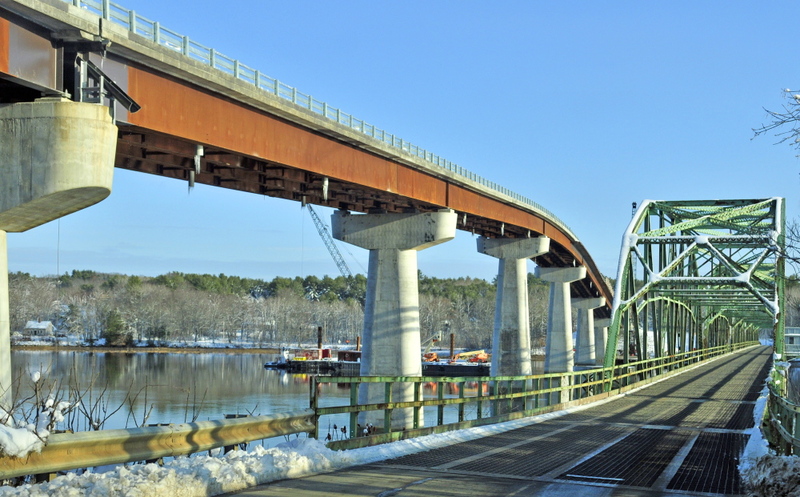 U.S. Sen. Susan Collins, along with state transportation officials and town representatives, will celebrate the completion of the 1,500-foot-long span. 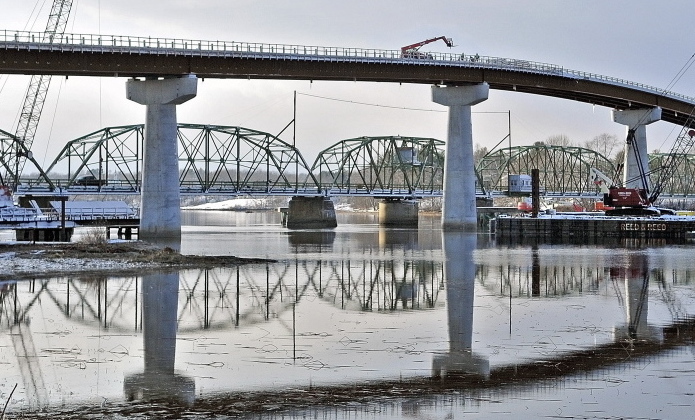 The new bridge spanning the Kennebec River from Dresden to Richmond will open to traffic for the first time Friday afternoon. The 1,500-foot-long bridge, under construction since July 2013, is replacing a metal swing bridge that has stood for nearly 80 years. 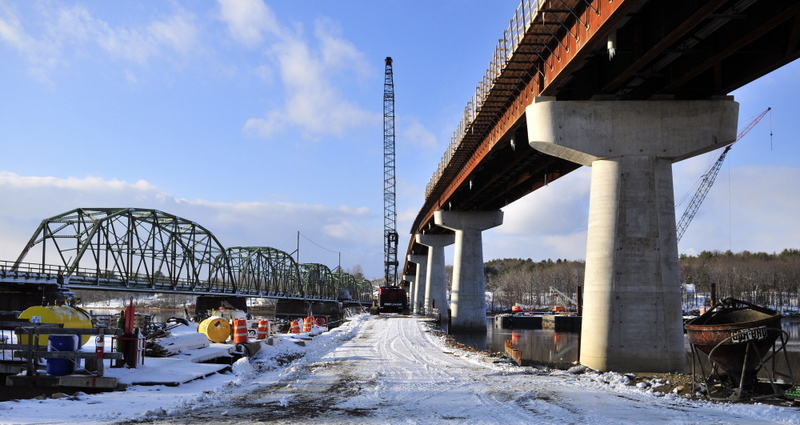 U.S. Sen. Susan Collins, along with state transportation officials and representatives from the two towns and the construction company, will celebrate the bridge’s completion at a ribbon cutting ceremony scheduled for 10 a.m. Friday. The contractor that built the bridge, Woolwich-based Reed & Reed, will be taking down the old bridge sometime after the new one opens. Students from the elementary schools in Dresden and Richmond and the oldest residents from each town will also be at the ribbon cutting ceremony, said Peter Warner, chairman of the Richmond Board of Selectmen. The students and the older residents from the two towns will shake hands over the ribbon, representing the old and welcoming the new, he said. “It’s not something we’ll ever see again in our lifetime,” Warner said of the bridge opening. Gov. Paul LePage was also invited to the ribbon cutting, Warner said. Collins toured the deteriorating swing bridge on Route 197 in 2011 before the project won a grant from a transportation program in the 2009 federal stimulus package. Federal money is covering 80 percent of the estimated $18.6 million project, and the state transportation department is funding the other 20 percent, according to the Maine Department of Transportation. The new bridge will be 80 feet above the river, high enough for boats to pass underneath it, unlike the current bridge, which has to swing open for taller boats. An early and longer freeze of the river last winter caused some delays, but the project will still be completed well before the initial projections by state transportation experts that the bridge would not be ready until July 2015.